Email is the most powerful tool for finding new clients, but often it is assumed to be a tool to spam at least by freelancers. Pitching new clients or even keeping in touch with old clients is a technique I use to grab a lot of repeat work from my clients. I Use Emails To Increase My Freelancing Revenue from Existing clients. There is no doubt; an email is a powerful tool. If you know how to use it, it can make or break it. The subject is the most critical part of an email. It will make the recipient either open it or move it over to the trash. If not done the right way, clients will report your email as spam and future emails can all land in the spam folders. Hence, keep your subject line short, readable and straightforward. For example, 5 Years Experience PHP Developer for Project shared on LinkedIn, or WordPress Developer for Job No.##### Shared on xyz.com. Never make the subject line lengthy. Always make it to the point. The subject line must align with the email. For example, if an application is for the project on PHP, mention the relevant work experience as early as possible in the email. We will use the template to help you craft an email like a pro. Make sure the email doesn’t contain any information that isn’t relevant to the job. Note: email is not a resume; it is for the reference to get in talk with the client in detail about his or her requirements. If your subject line made sure, client open the email, make sure the body of the email text isn’t something that forces him to delete the email. Personalize email to an individual for the project is very important to winning a client. It should sound like a one-to-one communication and not a broadcast. Moreover, sending group emails to pitch client might trigger irrelevancy. It happens you can end up sending generic emails to target everybody, but actually, it targets nobody. Consider yourself in the shoes of your client. If you receive an email of a PHP Developer for the requirements of WordPress developer, will you ever consider the candidate? If you don’t how can you expect the same as a developer. Therefore, it is advisable to send personalized email as per the clients’ requirements than to craft a general email to send to all clients. I prefer to keep a maximum of three paras in a proposal email, and that is after ten years of freelancing experience. Even if you have hundreds of relevant samples to share, only share your best 3. My template keeps the email short as well as covers all the details. Addressing the client with his/her name lays a psychological impact and a sense of personalization. It immediately feels a personal email. One can address the client with the first name or last name or both but don’t forget to use Mr., Mrs. or Miss. Ideally, on sites like LinkedIn, it is easy to know the name of the person who posted the requirements. But if you can’t find the name of the concerned person, leave it blank instead of writing to whomsoever it may concern. Include all your other contact details in the signature. It can include ways to connect with you on social media, blog or website if you have one. I have seen many people include a notice of not to print the email message. No one reads such fluffs. So, it is better to avoid them in every email but if you want to include, at least remove them when sending a proposal email to clients. Sending a series of follow-up emails will instantly mark you as spam. Additionally, it will make you sound desperate even though you may not be in the first place. But that should not stop you from sending one or at the most a couple of follow up emails. Keep a gap of 7 to 10 days once you send the first proposal email. Also, do not hammer the same idea & text in the follow-up emails that were in the first email. Merely checking up with the client whether they received the previous email or are interested in the proposal is enough. As an example, one can write a couple of lines. Hi, I sent you the below email last week, did you had a chance to look at it. If you don’t receive a reply from the client, stop at this point and focus on new clients who respond. The client may not respond for various reason, and one of them could be, they found someone for the position. My time-tested email proposal template I use to pitch potential clients over email. You can also check out my Upwork Proposal Template or PPH Proposal Template for sending proposals on freelancing sites like Upwork. Start the proposal with gratitude. Thanks for sharing your XYZ requirement. I will be more than happy to help you. Let me share with you my expertise with XYZ and ABC. As per my personal experience, overseas clients prefer Hi over Hello. Hence, start with Hi. If one has the name of the client, then add. Like “Hi John” or “Hi Sam” If there’s no client name then keep it to only Hi. The first paragraph of a proposal should always be a thank note. After the first paragraph, share your expertise with the clients as early in the email as possible. Keep it brief and craft it to the point. I am the owner of (My Blog IMTips.co / Shabbir.in or Forum Go4Expert.com) for (Number of Years) now. I have been doing a lot of (Your area of expertize like WordPress / vBulletin / XenForo) work. Apart from my own blog, I have clients like ABC, DEF and GHI where I have worked recently. With a vast experience in different skills anyone can be tempted to write a lot of samples, but add a maximum of only three that are most relevant to the clients need. Craft many such paragraphs to copy and paste them as your expertise para to different clients. Again, we aren’t copying the whole proposal but only the expertise section. I have three such paragraphs created for each of WordPress, XenForo, and vBulletin. Get into the meat of the email; this is where you should let the client know about what you have to offer for them for the work they want to be doing. If they have offered some questions, answer them. If they are looking for some suggestions or input from you, make sure you provide each of the questions answered. If you are responding to an offer from a client, this will be more like questions answer. But if this is a suggestion you are emailing a website owner based on what you found on the site, this will be a suggestion. Don’t copy past anything in this area of the email template. 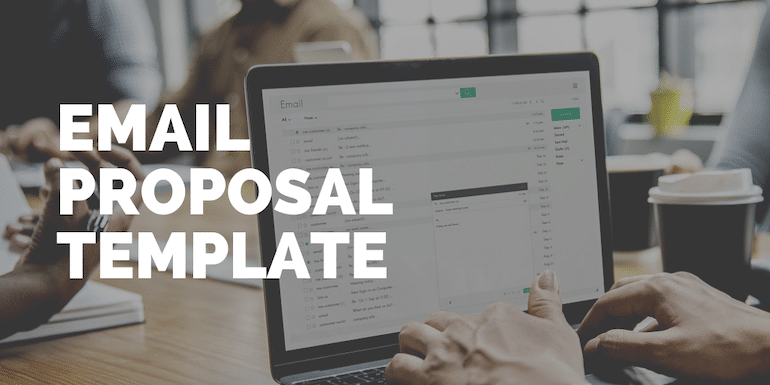 The one crucial element of an email proposal template is the pricing. How much it will cost is an essential aspect of the proposal. We keep the pricing information after the expertise for the sole reason price is just a number. It is your experience and relevant knowledge that will win clients, not being the lowest in price. 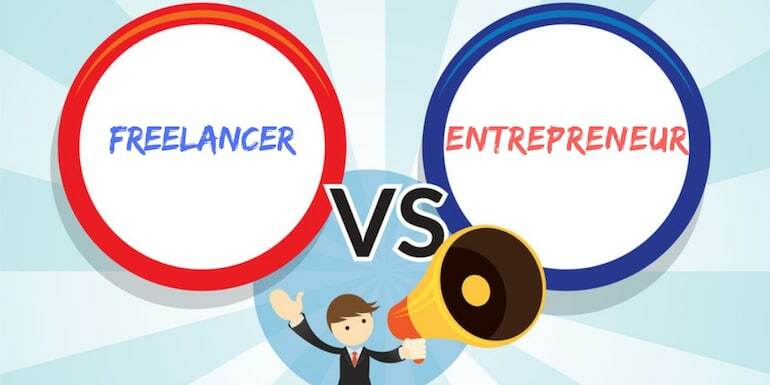 Here is my complete guide to How Freelancers Can Price Their Proposal? I include the price as follows. The tentative price for the task will be $400 and I assume it to be 10 paid hours of work. If you include the price as well as the paid hours, make sure the calculation is correct. As an example, if your hourly rate is $10 per hour and delivery of the project is in a couple of days, the quote of $400 becomes tough to justify. Proposals should never be more than three paras but if there is anything that can impact the delivery of the project, then only one should include extra information else it is not needed. Don’t include: I will wait for your reply or eager to working with you and things like those. They show you are desperate. Finally, I had to mention; your emails can’t have grammatical errors. If English is not your first language like me, make sure you use Grammarly before sending emails.